For this season we took many suggestions to ensure that the gameplay this season is held to the highest standard! Here is a list of some of the new features we've added this map! That was a list of the primary main features we've added this map! Here is a list of some of the key bugs we had fixed for this reset! Here's a list of how we are doing payouts, we hope you guys enjoy! I hope everyone is excited for this upcoming season for Jupiter. Here is the basic information needed to help make sure you are ready for release! That was a list of the primary bugs we've fixed for this season! We've also fixed many other bugs on top of the list. Here is a list of some of the new features we've added for this upcoming season! F check - Allows you to set a custom amount of minutes to alert your faction to check your walls! New throwable creeper eggs which drop spawners! Just a reminder that you can reupload the trailer to receive 2 SPECIAL KEYS on our release! you can have any sub count as well. Here is a link for the economy sheet for this map. I hope everyone is excited for this upcoming season for Mars. Here is the basic information needed to help make sure you are ready for release! For this season we worked on perfecting many small things on the server to make the overall experience better this season. Automatic raid events (upon tnt enabling everyday at random coordinates which will be announced in chat a base schematic will spawn it which you can raid for EXTREMELY OP rewards! Automatic selling harvesterhoes - These harvester hoes will now automatically sell the sugarcane that you farm! New rule - you may NO LONGER scatter spawners across your roof. They must be raidable! Hello everyone, how is it going? 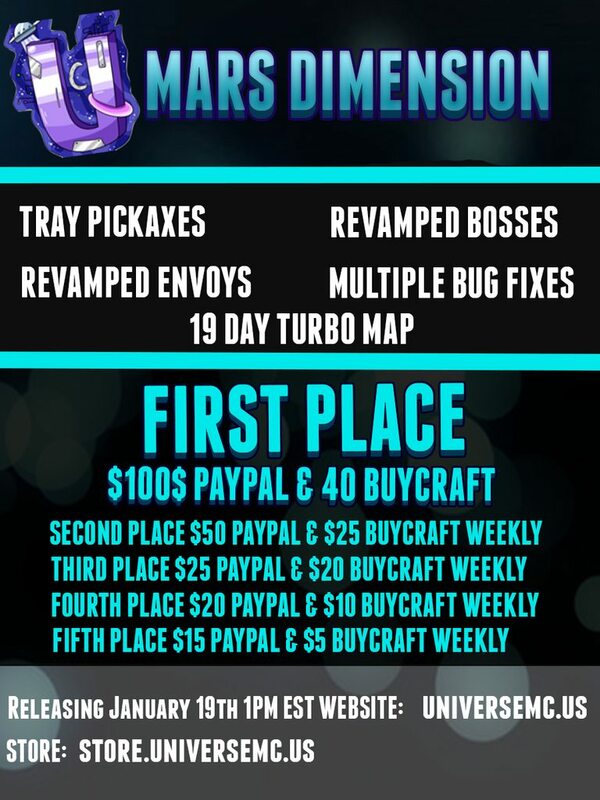 I’m immensely delighted to announce Neptune dimension season 8! Overall, we’ve been working on adding new features and improving the old features we brought into season 7. We noticed a lot of you liked season 7 of the Neptune dimension! We’ve taken everything we did right and wrong from that season into the new one. Below will be a list of features we’ve added and fixed. If you have any suggestions don’t hesitate to leave a comment! Let’s start with the main new features! If you don't want to read check out this trailer that sums most of it up! Classes /class – Select a class to end the chaos in the realm! You can choose between being an astronaut or an alien. Both classes will receive one suit and one tag. BattlePass /level – This feature has been added to almost all dimensions except for Neptune. However, this BattlePass is unique from the other ones. We’ve added several more challenge types which is more suited for Neptune and its features. Mining World /trip – We’ve added an event called Mining World. In this event, your main objective is to mine as much as possible. When the time is over everyone will get teleported out and a mining statistic will be shown in chat. However, it is possible to leave at any moment. There is a little fee when accessing this event. We’ve also added kits! You can select the Stone, Iron or Diamond kit. Suits /suit – This was roughly introduced in the mid-season; however, we’ve removed the old suits and added more fun and useful suits. Everyone will get one free suit depending on which class they select. Dust /dust – This is a new way of obtaining crate keys. Basically, every time you mine there is a chance of one dust to drop. Once you have enough dust you can convert these into crate keys. For this season we worked on fixing countless bugs but also adding new content that I'm sure you will all enjoy. Here is a brief list of all of the bugs we have fixed this season! I'm extremely happy to announce Jupiter Dimension season 12! 19th of January - 1PM EST. 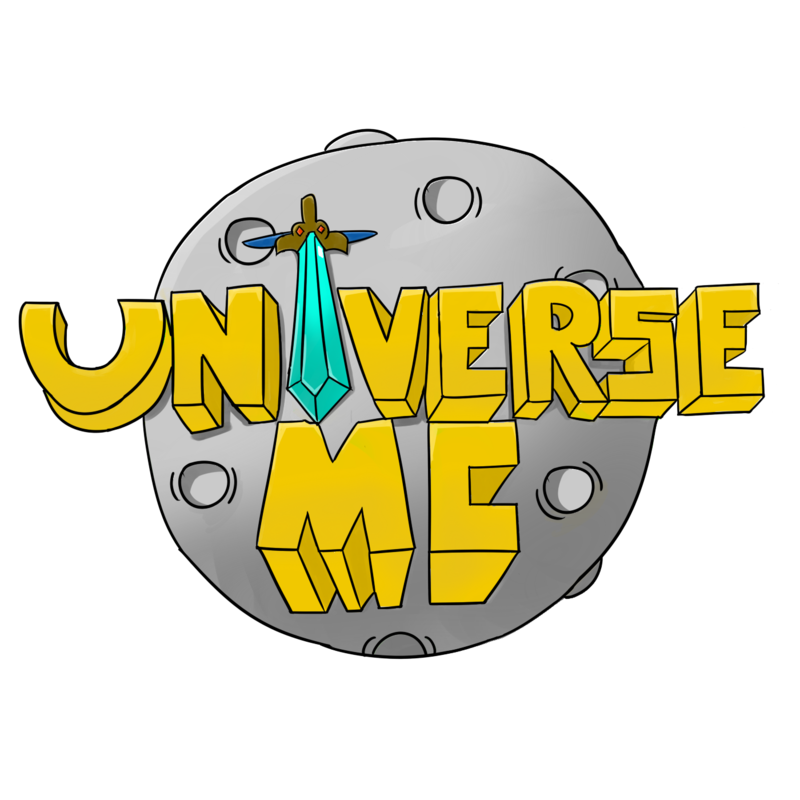 We are delighted to be bring you season four of the Mars dimension on UniverseMC. - /TPS - See our stable TPS for yourself! - 4 New custom bosses. - Brand new January Crate. - /FPS - Massive client-side optimizations! - F-vaulting in combat has been fixed. - Anticheat false-kicks have been fixed. - Fixed several bugs with enderpearls. I'm extremely happy to announce that our Jupiter dimension will be coming to a close in preparation for our next map. For this season of Jupiter we focused on fixing major bugs along with adding new features to keep gameplay fresh throughout the entire season. Here is a list of all of the bug fixes we've done for Jupiter dimension season 11 release! Those are the majority of bug fixes we've done for Jupiter for this upcoming season! Some fixes have not been listed but have been done! Here is a list of all of the new features we've added this season! Now can ally 2 people! Since this release will be happening during Christmas break we will be having a Christmas event going during the Christmas season! We're thrilled to announce that we're finally done preparing our 3rd season of Mars. We have been focusing mainly on major bug fixing to make this season as bug free and smooth as possible to make sure everyone enjoys the 3rd season of mars. Here's a change-log of the stuff we have been working on getting fixed, if you have a bug that is not currently fixed please let us know by DMing one of our staff members! - Fixed all faction permission bugs! - Sell sponge duplication bug fixed! * New Battle pass purchasable from the store! We're doing weekly payouts for the top 3 factions every Saturday, amount is listed below. Reupload the trailer to your YouTube channel and get 100+ views and you will receive x2 Special keys on release! We're happy to announce that we're finally done working on our season 10 of Jupiter, even tho we do not have a lot of big updates this season we did a lot of bug fixing to make this season as flawless as possible so we can all enjoy it as smooth as possible! Here's a little changelog of the stuff we added and updated! * New LIMITED EDITION Ghoul Rank will ONLY be available for 2 weeks after being released this will be released 27th october! * New PV plugin which have fixed all PV corruptions! * New Automated Koth Build! * Fixed minor bugs with custom enchantments. * New UniversePass! This is something you can buy from our buy crate website. * New Updated Factions plugin!